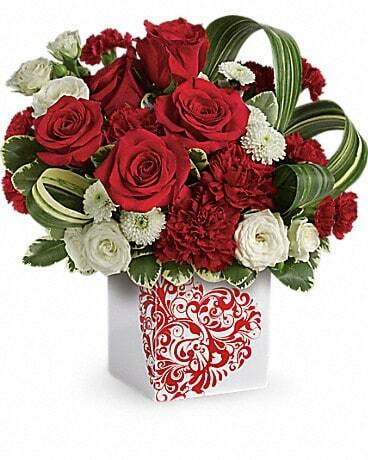 The art of adoration! 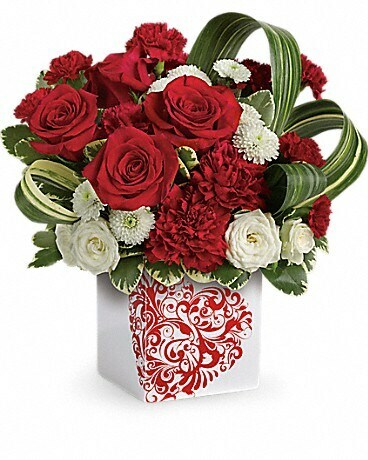 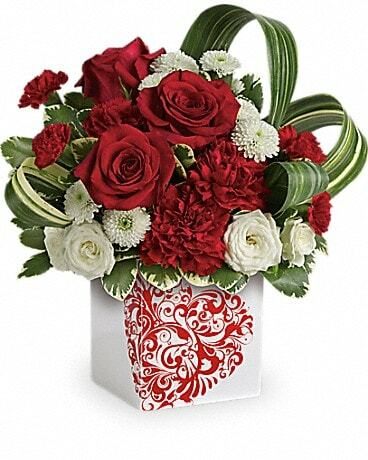 Show someone just how much they mean to you with this artistic arrangement of red and white roses, accented with graceful aspidistra leaves. 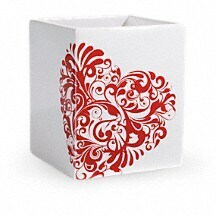 Hand-delivered in an adorable ceramic cube vase, it's a special Valentine's Day surprise for loved ones near and far!